Graduation can’t come soon enough. Desperate for a fresh start, Quinn is eager to escape to her aunt’s house on the New Jersey shore for the summer…away from teenage drama and having to answer everyone’s questions about “what comes next” after high school. Quinn can’t bear to focus on the future. She doesn’t even think she deserves one—not after her best friend died in a car accident that Quinn feels responsible for. But when Quinn meets Malcolm, a musician who has been trying to escape his own demons, she starts to believe in second chances. Jennifer Salvato Doktorski is officially a favorite author of mine with her incredible story of growing up, love, and choices in August and Everything After. This novel follows Quinn as she starts fresh at the Jersey shore with her aunt. Maybe only an hour away from her home, but it feels like thousands of miles as she leaves behind whispers and mistakes she never thought she would escape. 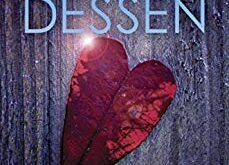 As Quinn tries to find her new footing, she finds herself falling into some old habits, but also making new friends, and learning all new things about herself. Doktorski developed this character in Quinn that is emotional and gritty. She so realistic because she makes mistakes and does things that make you question her sanity, but at the same time we are cheering her every move. Doktorski’s writing was raw, like an open wound, and so pure. I will not lie, I cried on more than one occasion reading this book. The supporting characters, Malcolm, Liam, Keke, Auntsie, and more were all these perfectly crafted, integral parts of the story. Any one of them missing would have left a huge gaping hole in the story. All formed pieces of the puzzle that came to fit together perfectly to create this amazing story. This isn’t to say the writing was super complicated or anything. It was so simplistic it came out like poetry. 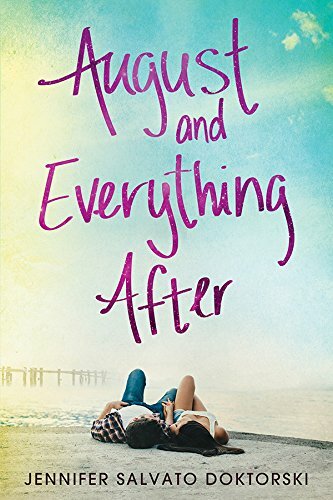 August and Everything After is a perfect summer read. Take it to the beach or read it on your back porch on a warm summer day, but be prepared to be emotional. 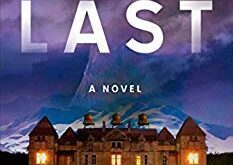 I was overwhelmed with emotions of all kinds throughout this book and I was kind of surprised by the ending. It wasn’t a perfect little bow at the end. It was left kind of open, but there was closure, the way life tends to be. If you love a good young adult read with a lot of meat on it’s bones, pick up August and Everything After by Jennifer Salvato Doktorski. You surely will not regret it. August and Everything After by Jennifer Salvato Doktorski is available May 1st, 2018 from Amazon, Barnes and Nobles, and check your local bookstores. 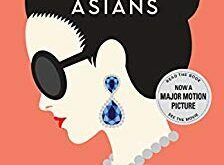 You must add it to your To Reads list for this summer on Goodreads and make sure to leave feedback and thoughts for the author when you are finished. Also make sure to check out more from Doktorski with all her other novels here!